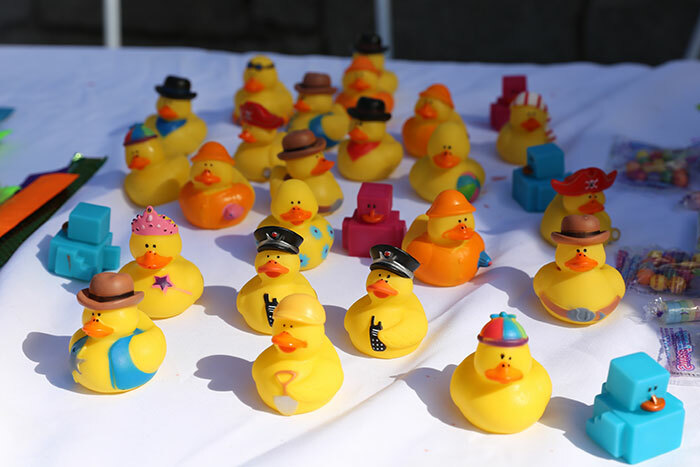 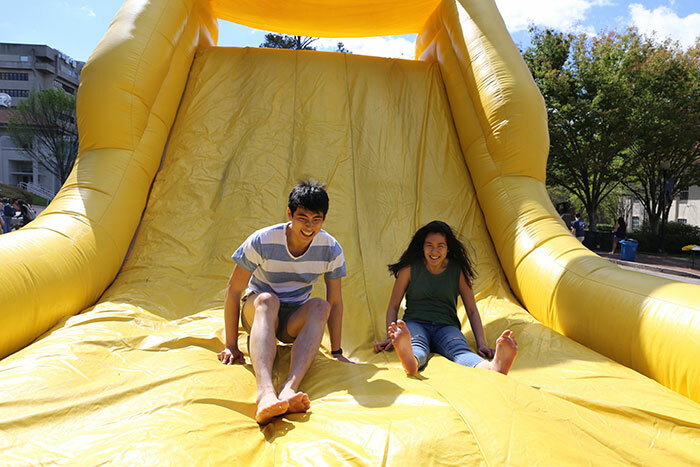 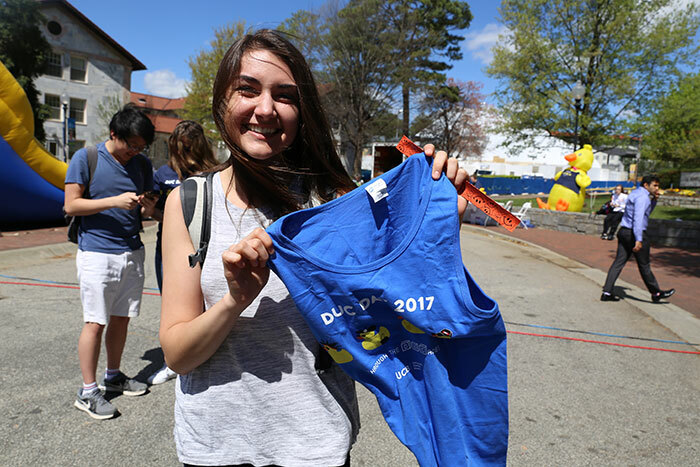 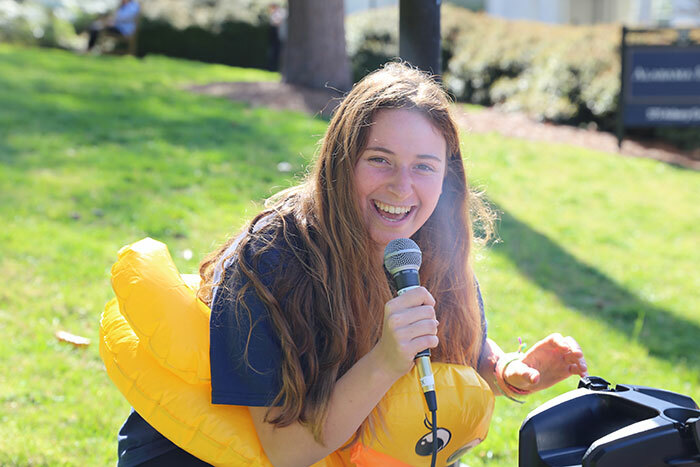 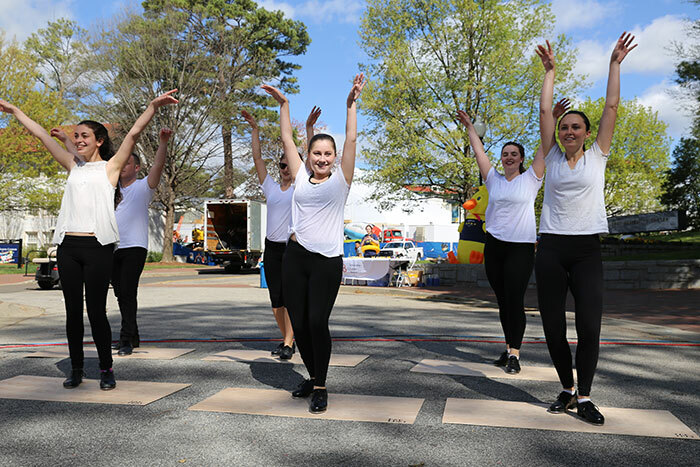 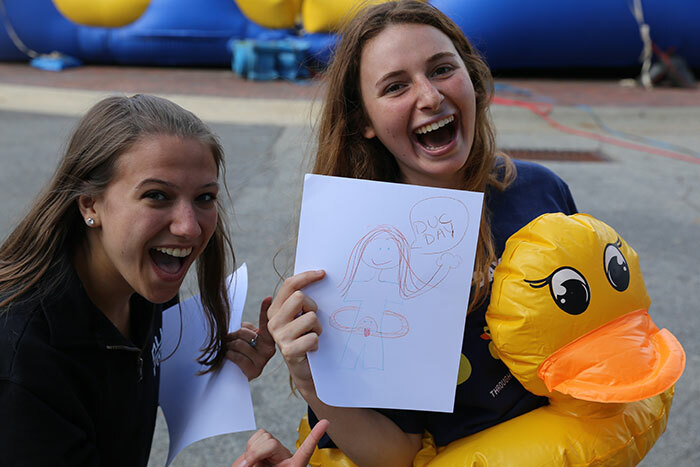 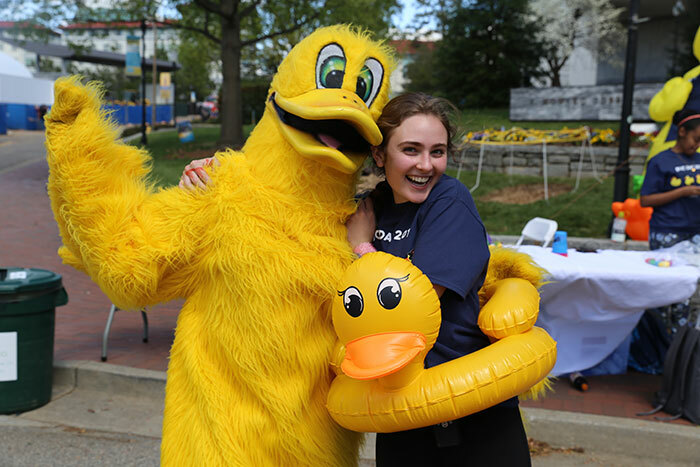 The Emory community gathered Friday, March 31, to celebrate the very last DUC Day, the annual festival that has been a tradition at the Dobbs University Center. 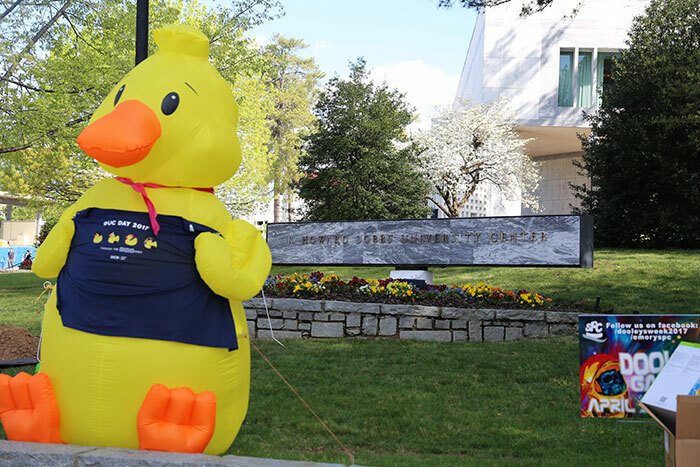 "Journey through the DUCades" was the theme of the final festival, as the DUC, which opened in 1986, will be torn down to make way for a new Campus Life Center to better serve the Emory community. 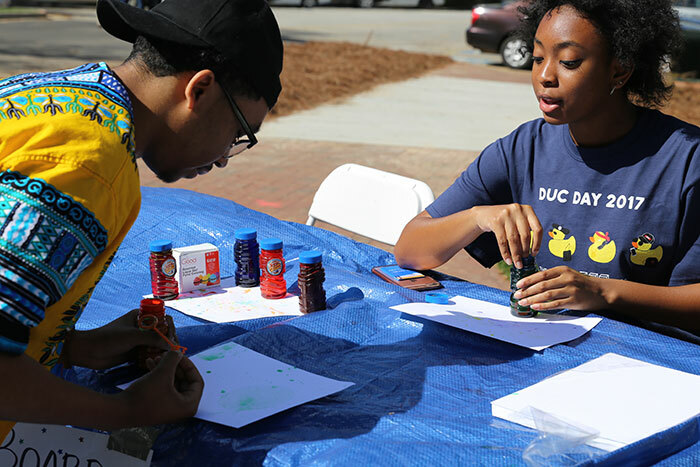 Student dining will move to a temporary facility — under construction in front of the Woodruff PE Center and already dubbed the "DUC-ling" — at the end of this semester. 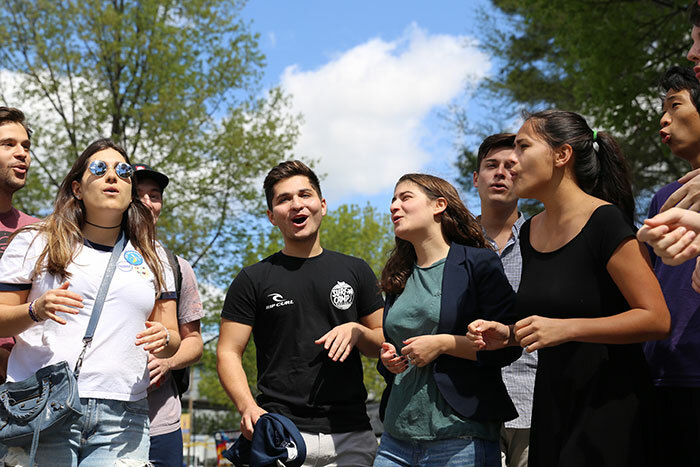 The Campus Life Center is projected to open in May 2019.